Here we take on some of the most common myths about the LSAT so you can correct your friends when they are wrong. Correcting friends who are wrong adds up to about half the conversation in law school, so get good at it now. 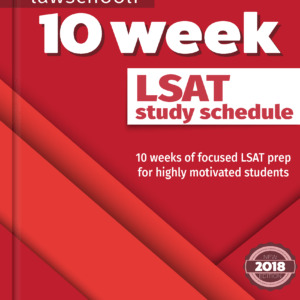 We also have some LSAT facts, and while they may not be the most fun facts you have ever seen, they are likely to be informative. MYTH #1: The LSAT is basically an IQ test. It isn’t something you can learn to do. Wrong! Skill at taking the LSAT can actually increase significantly through preparation and practice. Just because it’s not a test of memorized facts does not mean you can’t improve at it. It might be best thought of as a mental sport, like chess. Actually, it’s kind of a lot like I imagine karate might be, though I’ve never done karate myself. You have to learn the moves, then you have to practice like crazy to perfect them. It’s true that the test does measure certain mental skills that come more naturally to some than others. I also won’t hide that it’s likely some people have higher upper-limits to these skills. However, your LSAT score is not already engraved somewhere from the time of your birth waiting for a sorting hat to tell law schools what it is. Study hard (like we suggest) and you will be surprised how high your score goes. That said, there likely is some correlation between high LSAT scores and high IQ. We discuss LSAT to IQ correlation in this post. Fun Fact:Your brain actually alters (improves!) from intense LSAT study. MYTH #2: If you did really well in undergrad, your LSAT score won’t matter that much. It might be nice if this were true but, for better or worse, the LSAT is actually the single most important piece of your application to law school. Check out of post on just how important it is here. Fun Fact: A very small number of people get a 180 every year. In 2008-2009, the year we took the test (Josh got a 177, Evan a 173) , when a ton of people were taking the test, less than 30 people got a 180 on it. Side note: don’t take LSAT advice from anyone who got a 180 without prepping very hard. You are better off listening to someone who did hard work to get a high score. MYTH #3: The LSAT is a curved test. A certain number of people have to get each score. The LSAT does not have some preset bell curve. It is instead statistically equated, meaning they try to make it so that getting a certain score is just as hard from test to test. Because they are good at what they do and try to make it representative of the relative skill levels of the population, the actual scores do roughly follow what’s called a normal distribution, or bell curve shape. However, if all the low scorers mysteriously disappeared on the way to the test one day, the high scorers who show up would still get their same higher scores. 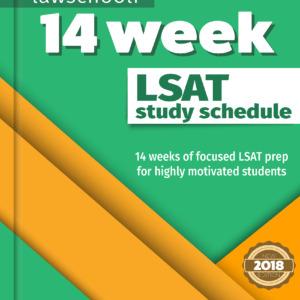 Fun Fact: In recent years there has been a noticeable trend whereby LSAT takers are getting better at the test, presumably because of more intense prep. MYTH #4: The February LSAT is easier. See above myth. The people at LSAC try very hard to make any given score equally hard to get on each and every different LSAT test. They are very good at what they do and as a result, there is no advantage to taking any LSAT over another one. 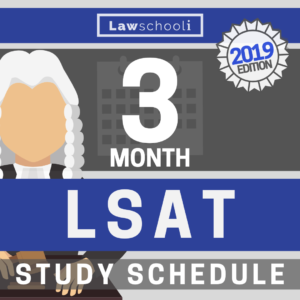 There is a timing advantage from applying to law schools earlier, which early LSATs allow you to do without waiting for the next cycle (though it’s less pronounced now than in recent years; see our post on rolling admissions), but this has nothing to do with the LSAT itself. MYTH #5: Retaking the LSAT hurts your application considerably. There is a lot of evidence to suggest that, by and large, schools just consider the higher of your two LSAT scores. This is especially likely to be true now that falling application rates are making it harder and harder for law schools to maintain the student profile numbers (LSAT and GPA percentiles) that they have grown accustomed to having. Schools still claim to consider the second score (a few at the very top still likely do to some extent, see our detailed analysis here), however, when looking at who gets admitted and who doesn’t, there is really no evidence that they are considering lower scores. Fun Fact: This is a relatively recent change in law school admissions. Before 2006, the ABA required law schools to report the average of a student’s LSAT scores. These numbers were then used to measure student quality in the influential US News and World Report rankings. Because they now only have to report the highest score, they lost the incentive to admit single time takers over retakers with a comparable higher score. MYTH #6: It’s not possible to improve on reading comprehension, so don’t bother practicing it. This is a close cousin of Myth #1 and we admit, the reading comprehension section is the most difficult to improve on. This is because it tests skills that most people have already developed considerably. That said, you CAN improve on it. Check out our tips on cracking the RC section and also our longer post on improving your RC score. Fun Fact: Among the various majors in undergrad, math/physics majors actually have the best average LSAT scores.